We are all guilty of eating cooking dough straight from the pot. When making cookies, we all sneak a spoonful of the dough, right? 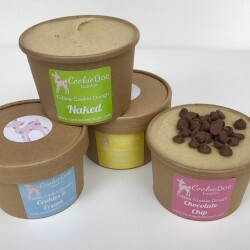 Well founder Mickie has made it completely safe to do so: Delicious Cookie dough that you can eat without baking, yay! 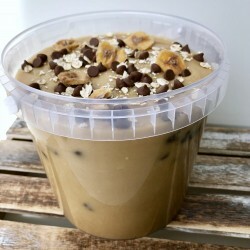 Enjoy cookie dough in it's finest form, no baking required. 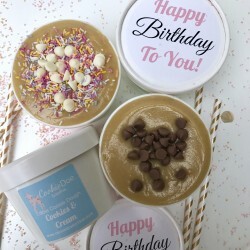 With a wide range of scrumptious flavours made with 100% natural ingredients and no preservatives, this eggless edible cookie dough tastes delicious, is made to order fresh daily and completely safe to eat raw.